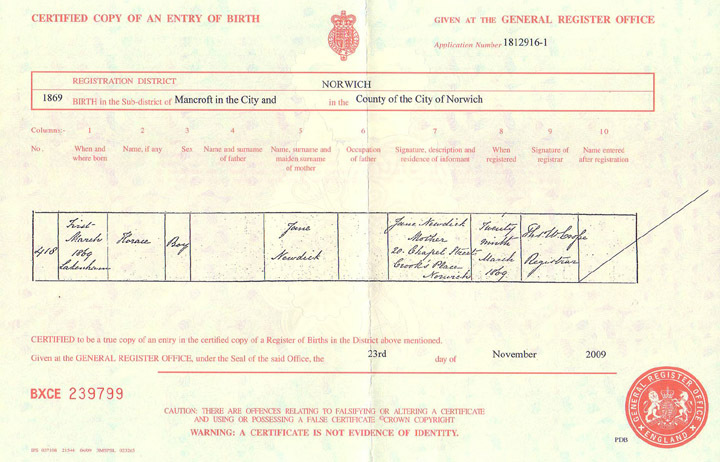 Horace Newdick's birth registration was shared by Adrian Greenwood. and copies ordered from the General Register Office. Here is the complete document. Scroll down for an enlargement. Here is an enlargment of the "important" part of Horace's Birth Registration. Click to return to Horace Newdick on the Newdick page.